At Owen, Patterson & Owen, we have earned our reputation for million-dollar results by not backing down. No matter how big an opponent is, no matter how complex a personal injury case is, we have the resources and experience to obtain the best possible result in your case. Our history of success: Our cases have received coverage from the Los Angeles Times, the Daily News, CBS News, Fox News, and other television programs and newspapers in Southern California and throughout the country. The Daily News even printed a front-page story about a $35 Million Dollar settlement our law firm helped attain. We cover all types of personal injury cases: auto accidents, slip and fall, dog bites, brain injuries, accidental death, medical malpractice, drug lawsuits, radiation overdose and many many more. Free initial consultation and you don’t pay unless you win. Great people in this office, everyone was really helpful explaining everything. 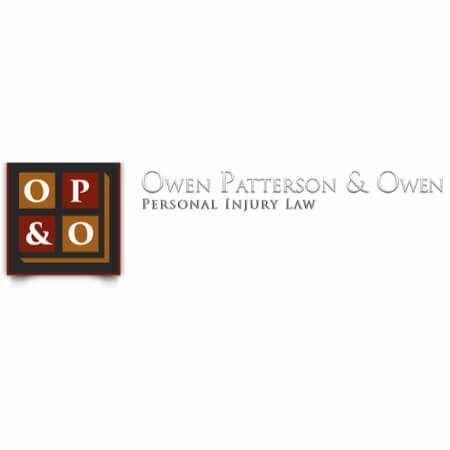 I have been working with the team at Owen, Patterson & Owen for some time now and I have never worked in a more positive and encouraging environment. The whole team from the front desk to the trial lawyers are some of the most supportive people I have ever had the pleasure of working with. Hands down, an environment that treats their clients and team members excellent.